First installment property tax bills for tax year 2018 were mailed on January 28th, according to Emilio “Emo” Cundari, Cicero Township Assessor. “Property taxes are paid in two installments,” Cundari said. “The first installment is fifty-five percent (55 percent) of a property’s total tax bill for the previous year, and will be due on March 1, 2019.” Taxpayers should note that first installment tax bills will not reflect homeowner, senior citizen or other exemptions, nor will they reflect the impact of successful assessment appeals filed for tax year 2018. Exemptions and successful appeals will instead appear on second installment bills, along with the effect of changes in the tax levies of local governments. Property owners who do not have mortgage companies paying their taxes can make tax payments in person, by mail, or online at the Cook County Treasurer’s website, www.cookcountytreasurer.com. Those wishing to pay in person can do so at the Cook County Treasurer’s downtown office at 118 N. Clark Street and at any Chase Bank in the Chicago area. If you have questions about your bill, or any other property tax services, call 708-656-3600, ext. 225 or 228. Cicero Town Hall is located on the 2nd Floor of Cicero Town Hall, 4949 West Cermak, Cicero. 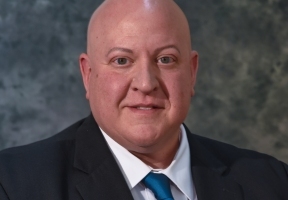 Photo Caption: Cicero Township Assessor Emilio “Emo” Cundari.